You are here: Home / recipes / baking / fig and yoghurt cake + for figs sake! 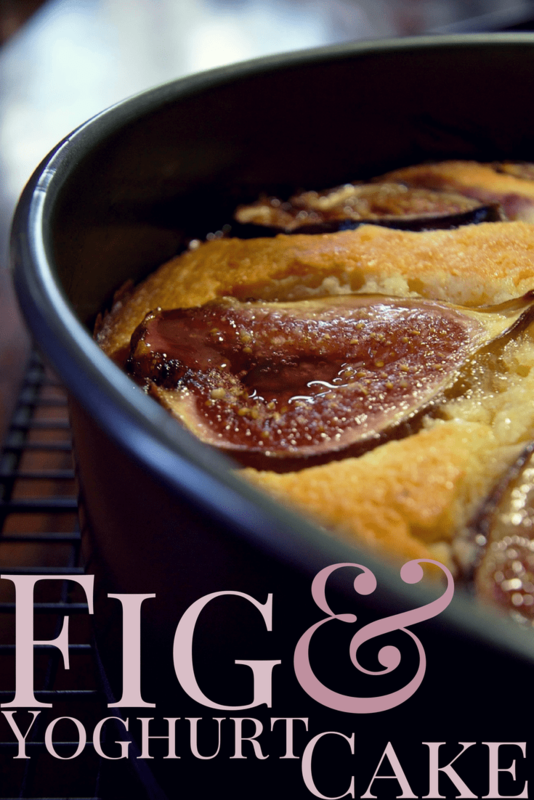 fig and yoghurt cake + for figs sake! There’s some bad business going on in the blogosphere at the moment. A business has bought up similar domain names to popular blogs and has rerouted the traffic to their own site. I’m outraged on behalf of the bloggers affected. They have spent years building loyal followings through doing what they do really well and doing it at a pace that makes my head hurt. Now by registering similar domains, a Gympie-based business is profiting from others’ hard work. Not only that, they’re being mean about it. You can read more about the whole dastardly act here. But, that’s not why I’m here today folks. A very clever woman and trusted advisor told me to get back in the kitchen this week. So by golly that’s what I did! The vision I had for this cake had turkish leanings – figs, almond meal, orange blossom water. Then I added Greek yoghurt. Opa! Fig and yoghurt cake! If you make it, I suggest you have an audience when you remove it from the oven – the bubbling syrupy figs are the stuff smiles are made of. In a medium sized mixing bowl, beat the butter and the sugar together until creamed. Tip: when a recipe calls for butter and sugar to be beaten to a cream, beat them thoroughly until the mixture is smooth and when rubbed on the side of the bowl with the back of a spoon there is no gritty feeling. Add the beaten eggs, one at a time, beating thoroughly between eggs. Add the lemon zest and orange blossom water, beat until combined. In a separate bowl, combine the almond meal and plain flour. Add the meal and flour to the mixture and gently fold to combine. Gently fold in the yoghurt and pour the mixture into a prepared 20cm spring form tin. Halve the figs and place them around the edge of the cake, pushing them into the cake mixture to protect them from burning. Bake at 200ºC for 15 minutes, then reduce the oven to 170ºC and bake for a further 45 minutes or until a skewer inserted in the middle of the cake comes out clean. Cool in the tin, then turn out, dust with icing sugar and serve with a cup of tea. The very best thing to come out of this whole dreadful domain business is watching Katrina’s fans go to bat for her. They’ve contacted advertisers and alerted organisations. The loyalty that The Organised Housewife’s fans have shown is amazing. You can’t buy that and you sure has hell can’t redirect it. Which leads me to a little question of my own. Will you help me out please? Last year, I registered cookerandalooker.com.au in addition to cookerandalooker.com, just to be sure no one would snavel it. Yesterday’s events have me wondering if that’s enough. So will you please tell me, via the voting buttons below….. If you were searching for my blog, what terms would you use? Now, with that out of the way I declare the soap box open. What’s making you say for figs sake this week? Why aren’t your links working? Definitely buy “acookerandalooker”, I always forget you don’t have an A at the front of your url. Phew. Glad it’s working for you. I panic when the site is misbehaving! Would you believe less messy that craft too Jodie? Just organising all the ingredients to make your cake when I discovered that whilst eggs are included in the instructions, none are listed in the ingredients. How many eggs should I use? Thanks Amanda. I made it with two eggs as I had everything ready to go. Looks okay but I haven’t tasted it yet! Awesome. Please let me know how it tastes? Hi Amanda, just started making your cake and realized it says eggs but not sure how many! !